The origins of the city date back to the Neolithic period and until the nineteenth century was the capital of a county (from the political, economic and cultural influence so strong that it became one of the most essential feuds of the South). 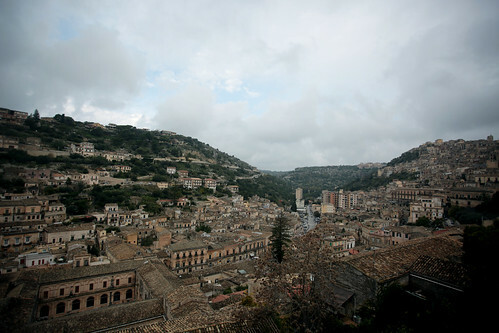 Even the city of Modica suffered extensive damage due to the earthquake of 1693, and the historic centre was rebuilt. Today, thanks to the masterpieces that are preserved there, the city has been on the UNESCO list of World Heritage Sites since 2002. 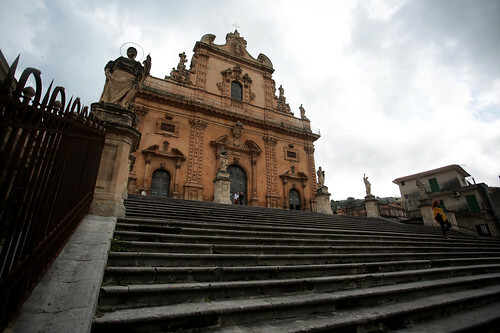 My visit started from the Cathedral of San Giorgio, a splendid example of Sicilian baroque (one of many) and that also appears in some episodes of the commissioner Montalbano (it should be here in front of the bus stop). The building that can be visited today was rebuilt between the 1600s and the 1700s: the original one was damaged by the earthquakes of 1542, 1613 and 1693. On the floor in front of the main altar, in 1895, a sundial was created by Armando Perini analemmatic solar: the ray of sun enters from the hole of the gnomon (above on the right), and at midday it marks the local noon; at the extreme left, a plaque shows the geographical coordinates of the church (therefore of Modica itself). NB: The analemmatic sundials are a family of sundials where the gnomon is mobile depending on the date in the year. The organ, built between 1885 and 1888 by Casimiro Allieri, is still fully functioning. Not far from the Duomo there is the Counts’ Castle which, however, proved to be at least partly a disappointment. 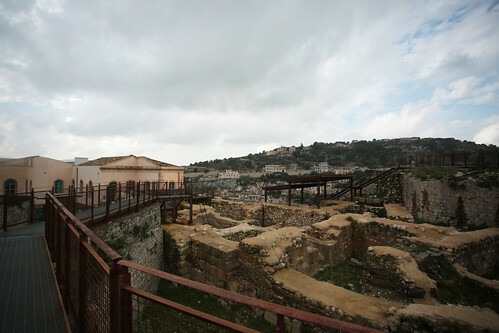 The structure has been recovered and restored (almost) entirely thanks to European funds and admission is free: compared to this aspect I add “and fortunately”! I appreciated the intention of recovering an essential structure from the historical point of view, but the interiors are totally empty and decidedly modern (they look like spaces of a building of the ‘900 and not of an ancient castle). From the castle to the city centre I moved by car, then parked along the main road. 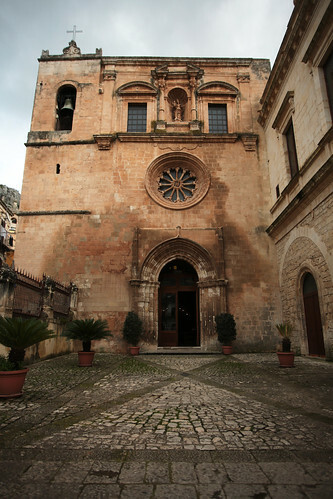 I noticed immediately the small church of Santa Maria del Carmelo, called “del Carmine”, formerly the church of Santa Maria dell’Annunziata. “Hidden” among the palaces of Piazza Matteotti, this church is one of the few monuments that resisted the violence of the earthquake of 1693. The upper parts of the façade and the bell tower, in eighteenth-century Baroque style, are still from the post-earthquake period. 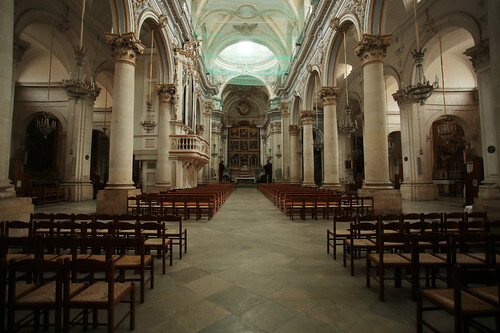 It was built in the fourteenth century following the arrival of the Carmelites in the city. In 2006 a mysterious portal of the end of the fourteenth century was found by a private individual during the recovery works, which constituted the entrance from the nave to one of the side chapels. Other actions of recovery, moreover, have brought to light further remains: it was an underground crypt (still) full of bones, probably of the Carmelite monk’s founders of the small church. The only one small “flaw”? The bins just outside the entrance gate, which jar a little with the sacredness of the place. Another important place of worship is undoubtedly the Cathedral of San Pietro. It seems to have been erected between 1301 and 1350 and is found in a document of the bishop of Syracuse in 1396. It was damaged by the passage of time and frequent earthquakes, but fortunately, some internal elements have remained intact over time, as (for example) the side chapel dedicated to the Immaculate Conception. In addition to these places, there is undoubtedly much more to visit. 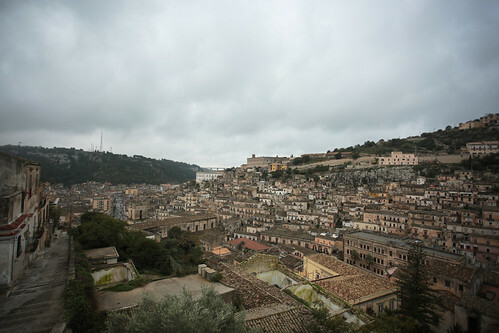 Inside the former Mercedarian convent there are two museums: the Modica Civic Museum, where there are even remains from the Paleolithic period (found in the caves near Modica) and the Museum of Popular Arts and Traditions which was opened in 1978, and tells the world of farmer and craftsman of Modica and his county. Finally, of course, you can not miss a visit to the chocolate museum: opened just in 2014, inside the Palace of Culture, leads visitors to discover the history of this delicacy through its history, curiosities, anecdotes and statues made only with chocolate.